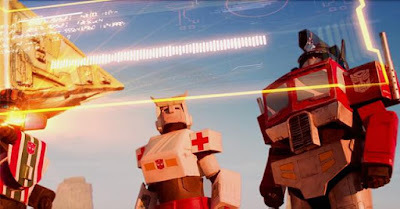 Next Club Meeting: May 25, 2019, at the Wood Dale Public Library from 10:00 a.m. to 5:00 p.m.
As Paramount Pictures and Hasbro plot out their expanded “Transformers” cinematic universe, they would be wise to take 13 minutes and watch this amazing fan film, which manages to channel all of the charm and fun of the original animated series. On virtually no budget! That enthusiasm for the property — and for practical effects — shines through in the short, which will transport you back to the 1980s series.